Gala events are where the glamour meets the glitz ! 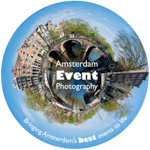 As Amsterdam event photographers we’ve had the privilege of photographing everyone from Princess (formerly Queen) Beatrix on down. We know all the key venues and would love to join you to bring your special evening to life.